I’ve always loved Future Pinball, it picked up where Visual Pinball left off and added full 3D awesomeness while still keeping the same, core programming features intact. It’s not just another pinball game either, it’s a simulator and table designer as well, with an ardent fan-base continually churning out amazing work at PinSimDB. The best part, everything about it is available for free! 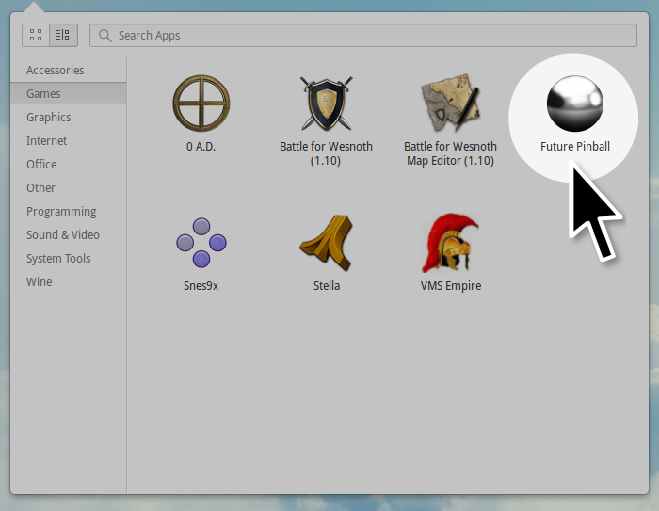 Sadly, just like Visual Pinball, Future Pinball is solely designed for use with Windows. Thus Mac and Linux users miss out on a key piece of free software. Fortunately, that ardent fan-base includes proficient technophiles like the helpful fella at r3dux.og. He’s provided a ton of information and a place for discussion on how to get Future Pinball running on Linux through WINE. Oh, and of course, a video walkthrough! It’s totally possible to install this without going to the terminal. Just download the Gist file above (right-click Raw option and select “Save link as…“), right-click the downloaded file and select ‘Properties‘, then give it execute permissions. You can just click to run it from there. However, it’s usually simpler to install it via the terminal. Here are all the commands you’ll need. You can simply copy and paste those into your terminal. That will begin the script’s install process, which includes downloading and installing WINE version 1.7. This is currently a beta version but my system required it for Future Pinball to work so I’ve used that in the script. If you’ve already got WINE 1.7 installed, no worries. It’ll continue right to installing Future Pinball. And to make a long story short, just keep an eye on the prompts that WINE provides during the installation. 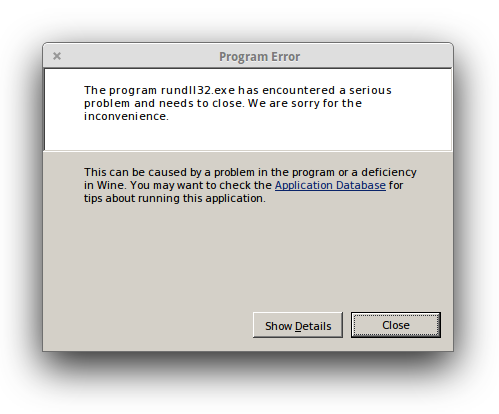 At the end of the WINE install process, you should see an error message like so. Simply click “Close” when/if you see the error. Everything should work just fine still. Once that’s installed, the process will be complete and you should see a new Future Pinball entry in your system menu. Launch the program from there. F5 – Play the currently loaded table. 5 – Insert coin into table (the software emulates a real table). 1 – Begin play (will only work when sufficient coins have been inserted). F1 through F12 – Switch to various 3D views of the table. ESC – Exit the table and return to the main window. I hope others will find this helpful, I’m terribly with following instructions myself so I was hoping to simplify the process for others like me. That’ll just help to keep further discussion centralized. Cheers!